There are a number of gap year programs and opportunities available which will be suitable for just about everyone. You can do this alone or you can let someone else get you organized and ready to travel around the world. 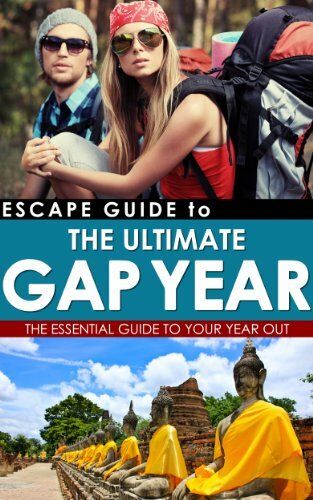 Gap year travel is something that is becoming more popular and can be a real eye opener. it is definitely worth while finding the right thing for you because this can be something that you will never ever forget about it. WWOOFer you don’t need any agricultural background, there is no age limit and it is the perfect ticket if you are looking for a cheap way to see the world. WWOOF, which stands for World Wide Opportunities on Organic Farms has been going for a couple of years now and bringing many opportunities for lots of travellers. All you have to do is about 4 hours of work a day and in exchange you get a place to stay of your choice. This could be on the coast of Spain or inland, helping with the olive harvest in Tuscany. If you enjoy working with animals you could choose a ranch in Texas. The list is endless. All you need to save your pennies up for are your plane ticket to your destination and of course spending money might help. By going to a place like Tuscany you won’t be fed any old food. Of course there are farms in the world that are a lot more strict and will be on a all-vegetarian diet so if food is high up on the agenda this is something to think through. You will just have spend a couple of Euros on the WWOOF organization. This will be the country of your choice. For example if you decide to become a WWOOFer in Italy you will simply sign up to become a member. They will send you a list of farms that will be willing to be WWOOF hosts and you can contact a couple of your choice. Most people will choose 3 farms in different areas. This will give you some variety in your experience. Florida, sunny days and Disney World usually make up some good times and for one year this sounds like quite a good deal. Some may ask you why you would want to base yourself in one place for the whole year on your gap year, but the answer to that is that you are not tucked away in the middle of nowhere. Florida is where it all happens. Orlando is just the start. You still have to make your way down to places like Miami and the Everglades. Disney International Programs have been going on for years, getting more and more nations involved. There are basically three different types of programs that the resort provides so you could choose one that suits you best. A cultural representative program has been developed that enables you to share your culture with guests at the park. A Summer program will last 90 days and then the International College Program lasts 5 months to 1 year, which has proved to be extremely popular. There are various rules that need to be read before you get the ball rolling, but it’s not that difficult to understand the basics. A year in the good old United States of America would give you a lot of insight into the land. There is so much to explore, people from different cultures that you will be working with and this can be a challenge at times, giving you plenty of growth. For someone coming straight from home, this is a great way to get speedy independence. You will have to learn to budget from your weekly check for your rent and groceries. Having free access to Disney World is a huge bonus in itself, but there is so much more to do besides just exploring Magic Kingdom. One Sunday evening when I was sitting in church I heard people talking about YWAM (Youth with a mission). It sounded exciting. Back home on my old desktop computer I discovered that it’s probably the world’s largest mission organization and thousands of people are involved. YWAM has ministries in hundreds of countries with a passion for making God known throughout the world. The vision came from Loren and Darlene Cunningham who started YWAM in 1960. They base themselves in Kona Hawaii where the largest base exists. Over 25,000 people go on short-term missions every year. Before you participate at one of the many schools offered at YWAM you have to do a DTS (discipleship training school), which usually consists of a 3-month lecture phase, equipping students with the essentials and 2-month outreach phase, reaching out to a chosen nation. I was a volunteer chef at different YWAM bases in South Africa for almost 2 years, cooking on a tight budget with aged equipment and various other demands which can be challenging but the rewards are far greater. One definitely see a lot as a missionary - tragic events, growth in people that no one had hope for. What I love the most is when people come to help in the kitchen unwillingly, thinking cooking is a chore and after a few days they are loving it, experimenting with different techniques, using foods they haven’t heard of and that gives me joy.